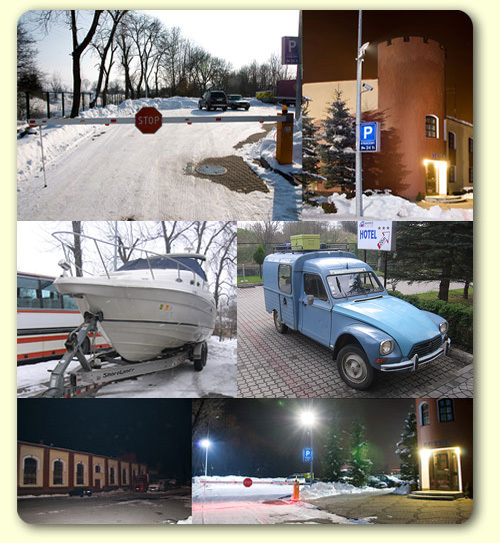 Out of concern for our Guests we provide round-the-clock security of the building, guarded and monitored parking for cars and all kinds of vehicles, which can be left on wheels. For regular customers and organised groups, we use an attractive system of discounts, a possibility of washing a car. TIR lorry drivers who use our parking can additionally make use of a separate plumbing system.